Had a break from the blog recently, as I was on a family trip to San Francisco. I was surprised to find the weather glorious for February in a city renowned for its cool Summers and rolling fog. 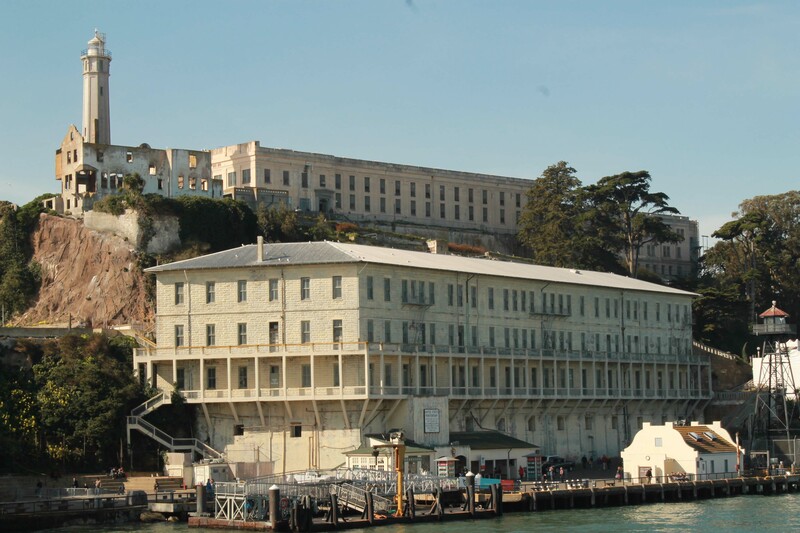 Clearly a trip to Alcatraz Island was on the must-do list! You buy a ticket for the boat over to the Island including an Audio tour and your allowed to freely take photographs. Famous for unlikely heroes such as Al Capone and The Birdman (apparently not liked by anyone, guards or inmates) it wasn’t too busy and I could happily stick my lens through the bars and snap away. The cells are only 9ft by 5ft wide and although it was hard to imagine the place occupied by menacing folk, I could well imagine the prospect of years confined up in a darkend cell, with the thought of the city of San Francisco so close and unobtainable, that some prisoners would take the opportunity to take up a hobby such as painting. One such prisoner was George Heck, you can see his cell below in which they now exhibit copies of his work. 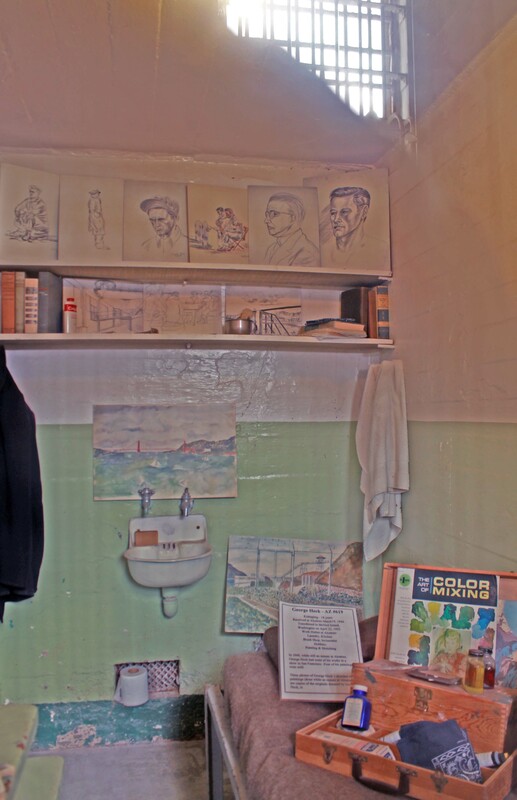 George was banged up in Alcatraz for kidnapping, from March 1944 until 1952 and remarkably he was allowed to exhibit his work in San Francisco whilst still an inmate in 1949. Four of his works were in fact sold. I imagine one attraction for Heck was to add colour to his cold, metallic surroundings and to get down on paper his hopes and dreams of what lay so agonising near across the bay in San Fran. These days San Francisco is obviously a place teeming with colour and culture including all the arts and we weren’t disappointed when we headed through Golden Gate Park for our evening at the California Academy of Science. 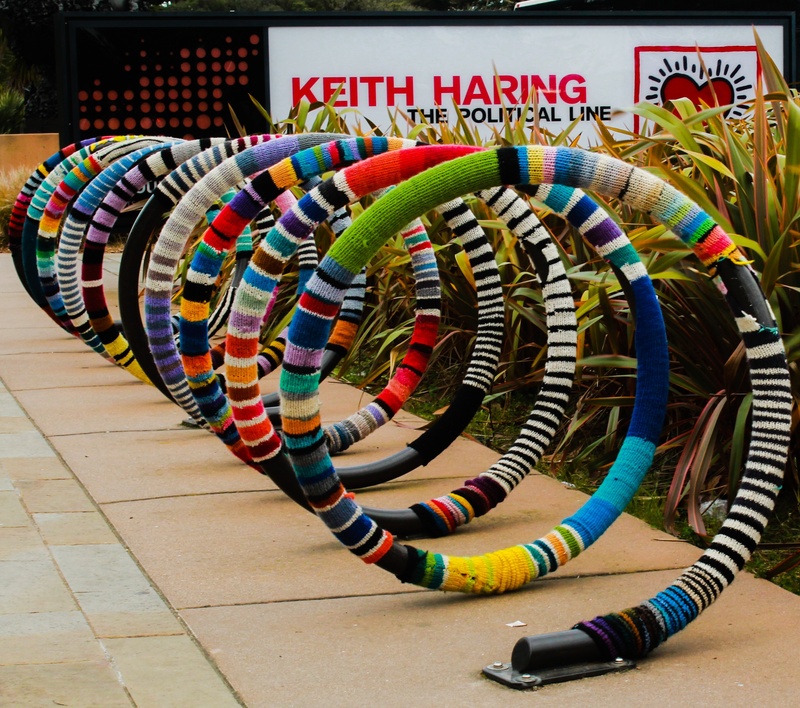 Heading past the De Young Fine Arts museum, and its distinctly cold tower, this splash of colour caught my eye.